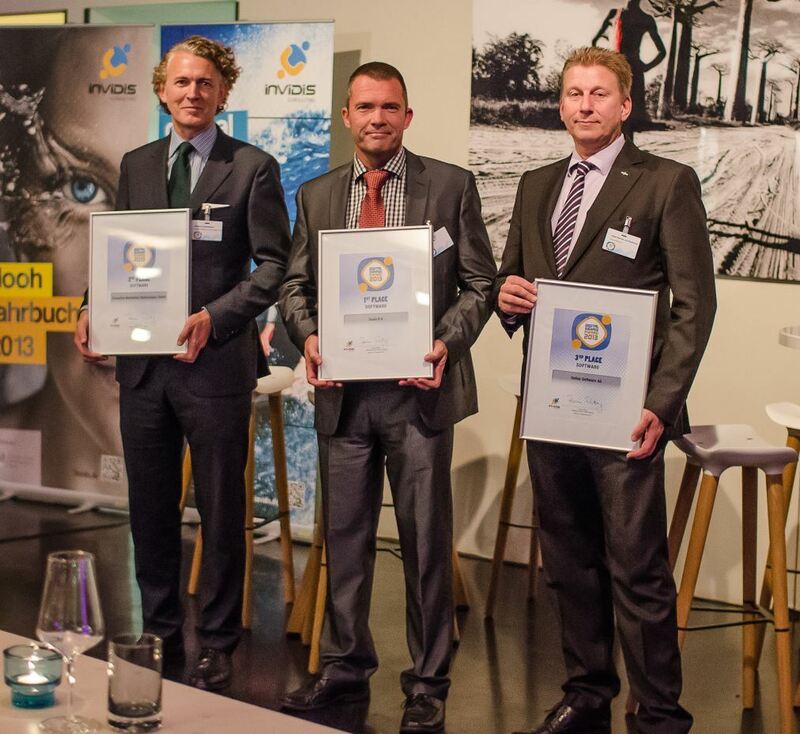 At the Invidis Executive Lounge, 18 September in München (Germany), Scala was awarded the Invidis Digital Signage Award in the category Software. For the third time in a row Scala was the winner of this prestigious Award, that is given to the most successful Digital Signage companies in 5 categories. Scala’s CEO Tom Nix and Senior Vice President Frank Larsen attended the meeting and were proud to receive the Award. Photo: Frank Larsen (middle) with the Award for the number 1.